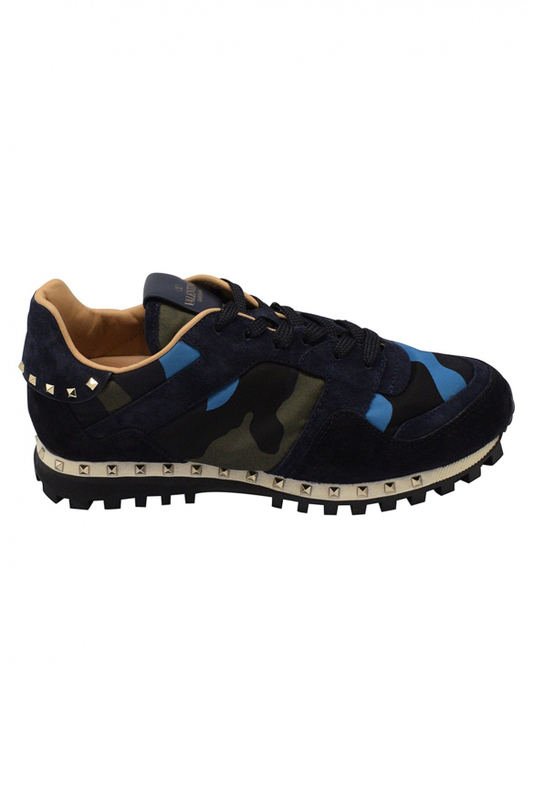 Valentino Camouflage green/blue sneakers in nylon and suede. Platinum micro stud detail to the rear. Rubber sole with platinum micro studs.